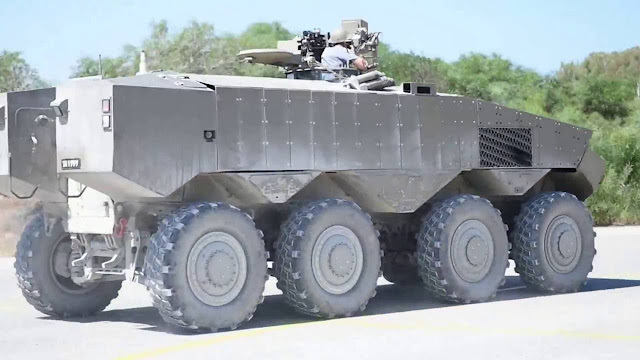 Israel’s new Eitan armored personnel carrier is in final field testing with the Nahal infantry brigade. Its series production is scheduled to start in 2021. Once the Israeli army has received enough Eitans to replace the last of their old M113s, the vehicle will be made available for export. But where will it be built? I keep hearing stories that General Dynamics will build the things stateside in order to meet the new requirements of the aid grant that the Israelis receive but nothing concrete on the subject. If the Eitan is built in the US then its almost an automatic that the US Army will at least consider it for their Stryker replacement (that vehicle is getting long in the tooth and the age is showing). A hot production line, and hopefully the costs will be falling? It would almost be a no brainer.